Larson Storm Doors - Sold and Installed by Thermal Windows, Inc. Thermal Windows, Inc. is an authorized dealer and installer for Larson brand storm doors. A new storm door can improve your home's energy efficiency, curb appeal and value. 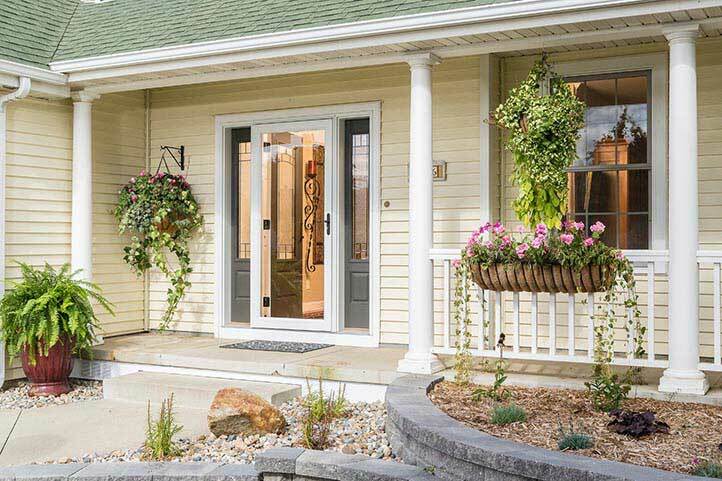 Beautiful Larson storm doors come in a wide variety of styles and colors. Let your pet in and keep unwanted critters out with our built-in pet door. 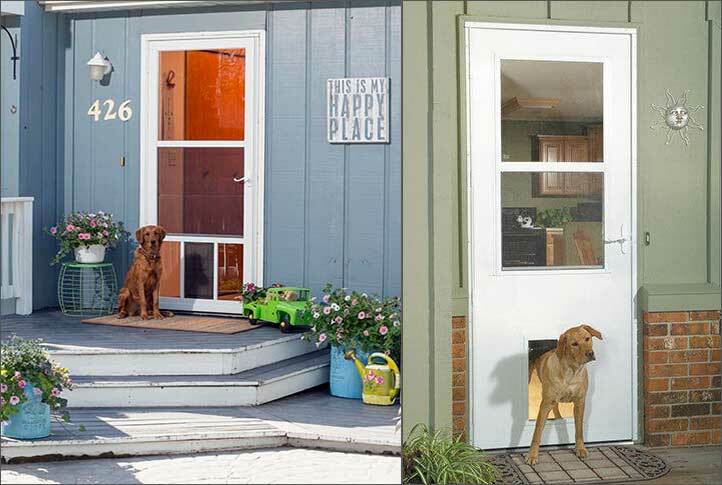 The factory installed pet door comes in two sizes to accommodate pets of all sizes. The retractable screen disappears into the top cassette when not in use. It combines the beauty of a full-view door with the convenience of ventilation.